26 June marked the 29th International Day Against Drug Abuse and Illicit Trafficking. Drug abuse is a major problem globally, with the UNODC’s World Drug Report 2016  (PDF) showing that the number of drug dependent adults worldwide has increased disproportionally  for the first time in six years—now estimated to be a whopping 29 million people. An article on Australian Outlook looked at the state of global drug prohibition efforts  and their impact on national security, arguing that drug treatment needs to be improved until it reaches the same standard as other health services. Australia continues to be a desirable location for drug traffickers. The regional representative for the UNODC, Jeremy Douglas, said recently that Chinese trafficking groups have their sights set on Australia , using Hong Kong as a transshipment point to traffic methamphetamine. Motherboard has published a new article outlining seven techniques law enforcement officials around the world are using to identify and convict criminals operating on the dark web , showing that wherever crime goes, police will follow. Russia’s lower house of parliament passed new counterterrorism legislation —the Yarovaya law —on 24 June. In a vote of 325 to one, the new legislation  extends powers requiring internet service providers to retain metadata for three years, store all communications for six months, and assist intelligence agencies with breaking encrypted files. Failing to report ‘reliable’ information about terrorist attacks and expressing support for terrorism online will receive a seven-year prison sentence. The move has angered telecommunications companies , who argue that the law will require businesses to store 100,000 times more data and invest RUB$33 billion in infrastructure. In a pre-emptive move  prior to the release of a Republican-led House Select Committee report on the 2012 Benghazi terrorist attack , Democrats released an assessment  of the incident on Monday 27 June. The assessment concluded that security measures were ‘woefully inadequate’ but that Secretary Clinton never denied requests for additional security in the lead up to the attack—which killed four Americans, including US Ambassador J. Christopher Stevens. The Republican-led Committee’s findings —released on Tuesday 28 June—were highly critical of the CIA and State Department for failing to accurately assess the security risk and suggested the government’s response to the incident had been slowed by election-year politics . The Republican report marks the end  of a two-year US$7 million investigation into the attack. A new proposal  by US Customs and Border Protection could see social media accounts screened as a part of the US visa entry  process. The proposal suggests including an additional question  in both paper and online entry forms which asks for information associated with applicants’ online presence. The proposal is a part of the US Department of Homeland Security’s plan to scrutinise the social media activity  of visa applicants in the wake of the San Bernardino shooting. 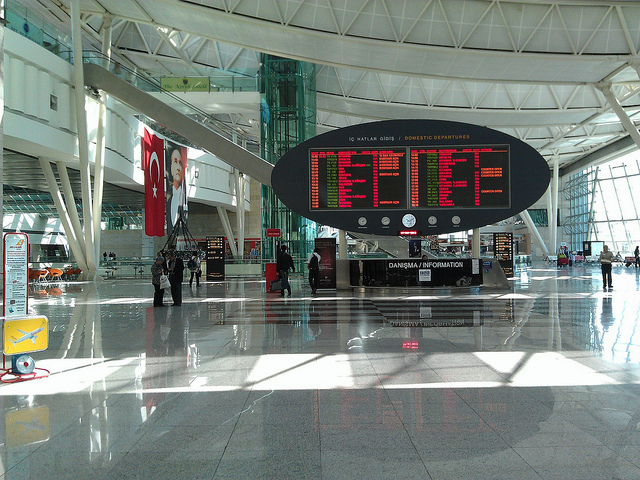 After yesterday’s terrorist attacks at Istanbul’s airport , as well as the attacks in Brussels last March , the need to manage  security in open-access areas of airports is in the spotlight. Earlier this month, the International Air Transport Association (IATA) said airlines were opposed  to curb side screening of passengers, due in part to an increase in waiting times and the potential for gathering crowds to become targets. However, an initiative  between IATA and the Airports Council International , dubbed ‘Smart Security ’—is hoping to curb to airside queues by optimising airport facilities (including checkpoint automation and repacking area reconfigurations) and allocating security resources founded on risk-based differentiation (the concept of applying different measures depending on the assessed level of risk). Drones are potentially a highly valuable tool in disaster relief efforts when roads, power lines and other infrastructure are out of action. Last week , Australian start-up Flirtey teamed up with Dr Timothy Amukele, assistant professor of pathology at Johns Hopkins University School of Medicine, and Field Innovation Team  to showcase ship-to-shore medical delivery. UN and American Red Cross officials were on hand to witness medical samples being carried autonomously on round trips between a medical camp on the New Jersey coast and a vessel one kilometre offshore. The ability to reach disaster-hit coastal regions with autonomous drones would be extremely beneficial for first responders, with 44% of the world’s population living within 150km of the sea . A new report from Wellington City Council’s Resilient Wellington group has warned  a major earthquake would have detrimental effects on the city—cutting power for up to 95 days, waste disposal for 75 days and road access for 120 days. The preliminary resilience assessment report identified storms and rising sea levels, a large-scale economic downturn and a housing crisis as other major ‘shocks’ that present significant threats to the city. The report comes more than five years after a major earthquake  devastated Christchurch, leaving 185 people dead.